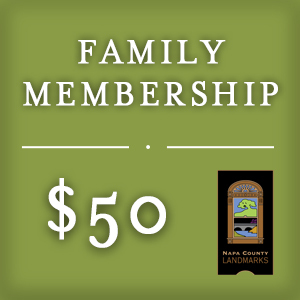 A Sponsor Membership to Napa County Landmarks entitles members to discounts and early invitations to all events, tours, and workshops. 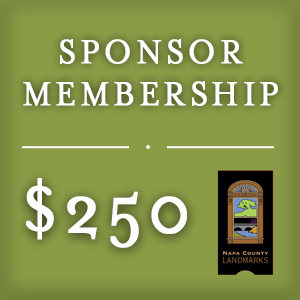 Members also receive a quarterly newsletter in the mail, as well as a monthly email detailing NCL’s upcoming programs. Your support helps us advocate for the protection of our many unique historic resources, educate our community on regulations and tax incentive programs, and continues to help preserve cultural heritage throughout Napa County.